anyone looking for some holiday photos??? 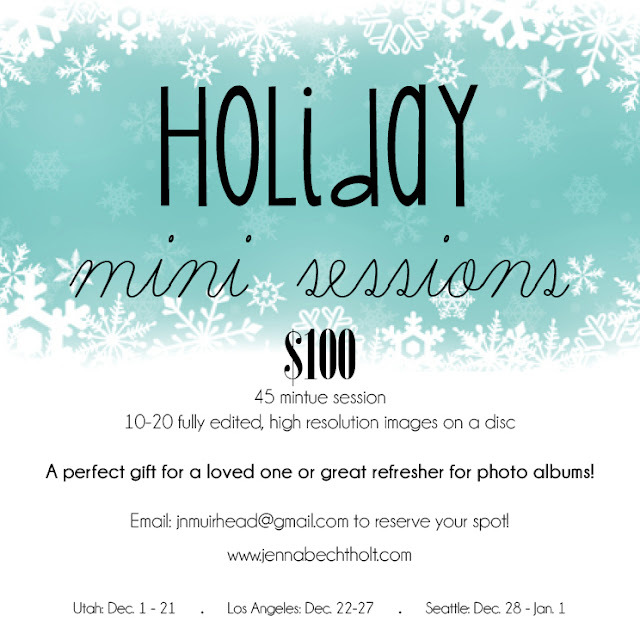 this is a limited time offer to get some festive pictures for a great price! i am featuring this deal in utah, los angeles & seattle. check below for dates.